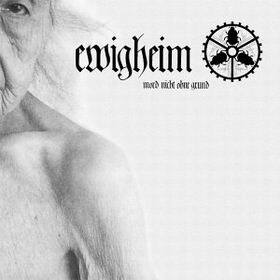 Ewigheim was formed by The Vision Bleak member Allen B. Konstanz and Eisregen drummer Yantit. However, it should be emphasized that it isn't just a project but rather a band. 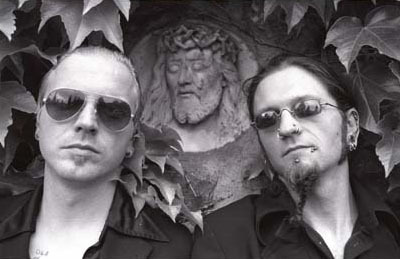 On their debut "Mord nicht ohne Grund" (No murder without reason) Ewigheim combine credible and heavy guitar music with electronic elements. The morbid and bizarre lyrics of the debut album are past, the snotty Rock 'n' Roll attitude outlived itself, but the basic impetus remained the same: We are living in a grotesque world working towards its own undoing. You just have to react to that, don’t you! 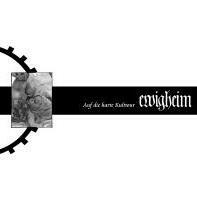 Either with the daring, naïve, absurd and comical murderous desires of "Mord nicht ohne Grund" or as Ewigheim do it now. In many regards, their new album is sounding more subtle, sophisticated, greater and more beautiful. 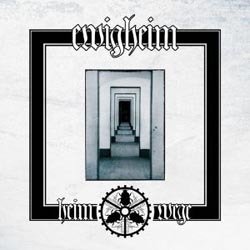 Yet, Ewigheim have managed to stay true to their own charm and the momentum of sheer grotesqueness; today, they are swaying in the tact of the grand piano, of the frighteningly intense voice rising above itself in the movements of the beetle’s wheel so like a perpetuum mobile, of the lyrics, open to many ways of understanding.